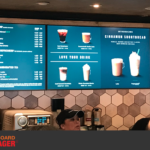 They say “Content is King” and your digital menu board content is the most important marketing tool in your restaurant, so how do you manage content effectively, easily, and at a reasonable cost? The short answer is that you make it easy and intuitive for a user to upload and manage content and display it on your menu boards at the appropriate times of day for your menu offerings and your target market. Many digital signage platforms offer content management software, but some are easier to use than others. 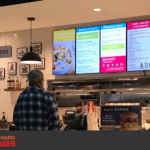 Generally, marketing folks aren’t engineers so they need an easy to use content management system for digital signage that enables them to easily upload images or video and change on-screen text like menu items, descriptions, and prices without being an engineer. This is where easy content management comes into play. 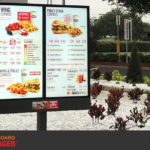 Menuboard Manager® is by definition “easy sign software for restaurants”. We’ve designed Menuboard Manager® to be as simple as possible. Coupled with online support via chat, it doesn’t get any easier and if you need help, we are on-hand to support you. 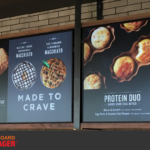 Request a Menuboard Manager® demo today! Developed on a cloud computing infrastructure that can be easily scaled to quickly meet the needs of the growing business. Customers utilizing the Enterprise Solution can scale to virtually an unlimited number of signs on a dedicated server. Point of sale integration with Micros, Aloha, Brink, and many other leading systems. Automate pricing updates, product details, and more, directly from the POS system, creating operational efficiencies and saving your organization time! Integrate your signage with marketing, sales, and inventory platforms. Create a unified system to streamline repetitive business processes. The integration possibilities are virtually endless! Contact us to chat about your requirements.